Salut mes amis! It's Wednesday and there's less than 12 hours left to enter my HUGE SUMMER GIVEAWAY!!! I hope you've all had a chance to enter, and if not, make sure you act now!! Click on the link above to watch the giveaway video, then come back to this post to fill out the raffle. Good Luck! On to today's agenda -- "Painterly Stripes" Nail Art :) Read More! Hello my darlings!! First things first: there are TWO (2) Days left to enter my HUGE SUMMER GIVEAWAY featuring Glossybox and Beauty Addicts Cosmetics!!! Tell your friends, tell your relatives and scream it out from the top of the mountain -- there will be THREE WINNERS and I want to make sure no one misses this amazing opportunity to revamp your makeup and beauty collection absolutely for free!! For your convenience, I'm including the raffle and the video detailing everything at the bottom of this post, along with the rules and product descriptions. May the LUCK be on your side!!! In this post, you'll also find my monthly recap of Glossybox, featuring the July edition, so that you can catch a glimpse of what to expect if you're a subscriber and/or if you're one of the three lucky winners!!! Hello beauties! It's Wearable-Wednesday and for today's makeup edition, I'm keeping it soft, natural and feminine. This "pretty in pink" smokey look is perfect for any season and is a great option for a summer bride. I'm using a mix of shimmery and matte shadows from the new CATWALK palette by Anastasia Beverly Hills and drawing a soft focus to all the features for a bright, wide-awake look. Hello my beauties! It's Mani-Monday and I'm back with another nail art edition. This week, I'm featuring a simple Islamic motif to celebrate the Holy month of Ramadan and pay my respects to all my Muslim subscribers around the world. I hope you're all having a safe and easy fast and I wish you many blessings during this Holy Month. Read more for the nail art deets! Coral & Turquoise Summer Makeup with Tarte! Hello my darlings! It's Friday and I'm back with another, easy-breezy summer makeup look! Today, I'm proud to feature Tarte Cosmetics -- a phenomenal cruelty-free and vegan-friendly line that is hugely popular for its feel-good, high-performance natural products. Tarte is the perfect choice for summer makeup and today's look is all about embracing the natural beauty of summertime! Salut mes amis! It's that time of the year again and this time -- it's the MOST wonderful time of the year!! 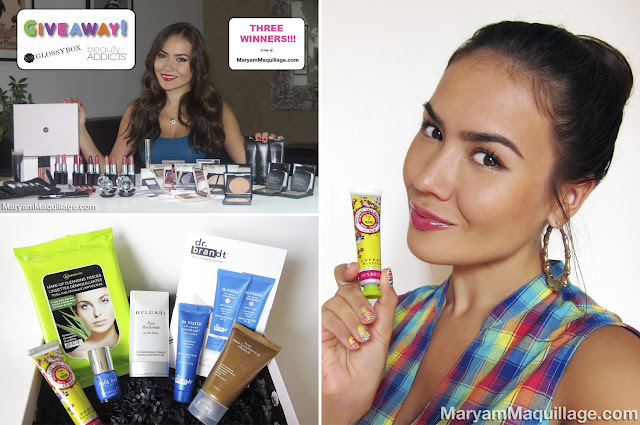 This Summer, I've teamed up with Glossybox and Beauty Addicts Cosmetics to bring you my biggest giveaway ever featuring a 14-product "Favorites" package aka my Beauty Addicts Summer Kit along with a Glossybox full of goodies for THREE LUCKY WINNERS!!! Salut mes amis! It's been a while since my last hand-painted nail art post, so today, I've decided to make up for the lost time! 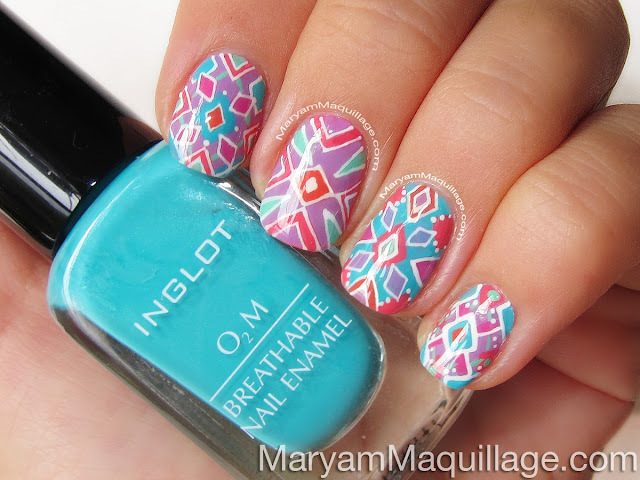 With the help of Inglot's latest breathable nail polishes and my trusty nail art brush, I created this whimsical summer nail art inspired by tribal patterns, kaleidoscopes and stained glass windows. This design was truly a joy in the making and though it took nearly an hour and a half to complete, I couldn't be happier with the result! Read on for pix, tips, & deets! Salut mes amis!! The week is almost over and for today's post, I've come up with an easy, ready-to-wear taupe and coral makeup look to take us into the weekend. 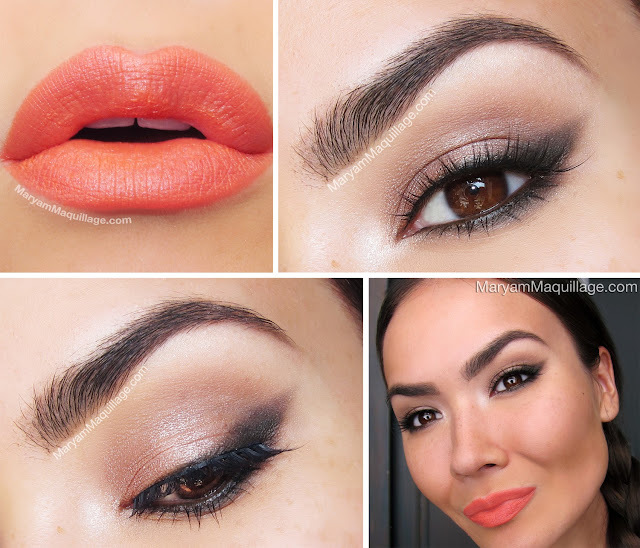 This look is fun, flirty and perfect for the hot summer days, utilizing my fave neutral palette, Taupe Craze from Lancome, complemented with a pastel coral lip shade from Coloured Raine. This is the type of look that I wear on a daily basis and it's my go-to for enhancing sunkissed skin and relaxed summer style. 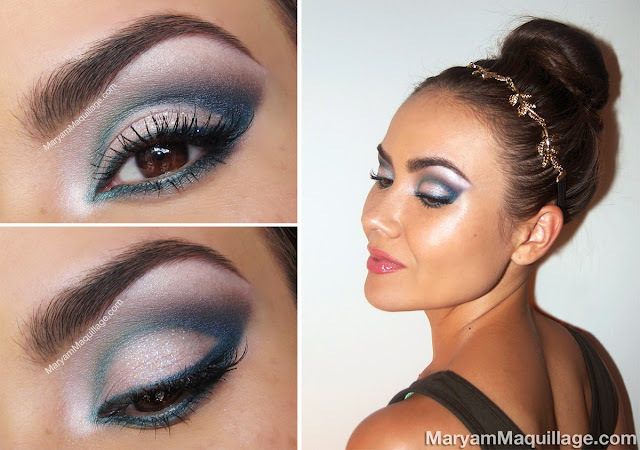 Read more for pictorial tutorial & deets! Hello my loves!! Today's Sunday Special ready-to-wear makeup edition is bright and perfect for all of your Fun-day activities: brunch, pool party, date or any other summer-time events. For this look, I'm using makeup from Beauty Addicts Cosmetics -- my new favorite boutique line that features "beauty-made-simple" products that are beneficial for the skin and easy to wear no matter the occasion! 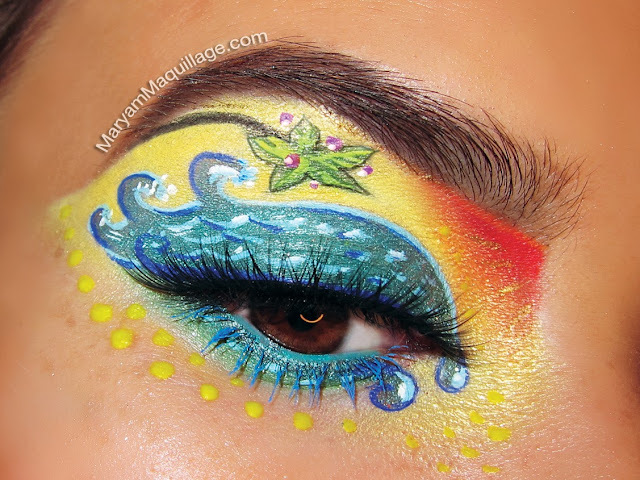 Read more for pix, deets & pictorial-tutorial! Americana Nail Art for the Fourth! Hello my darlings & Happy Fourth of July!!! It feels like it's been a while since my last nail art post, so today's is special and celebratory. 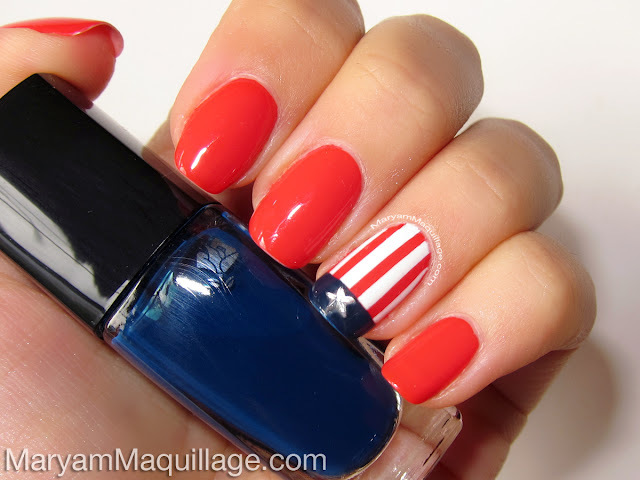 I'll make it a quickie for those of you in need of a last-minute patriotic mani -- this nail design is simple, to the point and can be completed in no time!